Catherine Bailey's Black Diamonds is an extraordinary tale of family feuds, forbidden love, civil unrest and the downfall of a mining dynasty. Wentworth in Yorkshire was surrounded by 70 collieries employing tens of thousands of men. It is the finest and largest Georgian house in Britain andbelonged to the Fitzwilliam family. It is England's forgotten palace which belonged to Britain's richest aristocrats. Black Diamonds tells the story of its demise: family feuds, forbidden love, class war, and a tragic and violent death played their part. But coal, one of the most emotive issues in twentieth century British politics, lies at its heart. 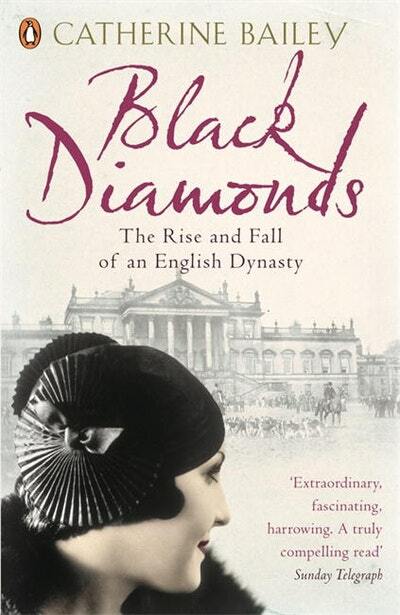 This is the extraordinary story of how the fabric of English society shifted beyond recognition in fifty turbulent years in the twentieth century. Catherine Bailey read history at Oxford University. She is a successful, award-winning television producer and director, making a range of critically acclaimed documentary films inspired by her interest in twentieth century history. She is the author of Black Diamonds and The Secret Rooms: A True Gothic Mystery. She lives in West London. Love Black Diamonds? Subscribe to Read More to find out about similar books.